What is The Pacemaker / Defib Clinic? The Pacemaker Clinic provides the cardiologist with a way to monitor your pacemaker or defibrillator and make any adjustments that are needed to the device. These evaluations can be performed in the office as well as at home with the use of a home transmitting unit specifically configured for your pacemaker or defibrillator. The device function and battery are checked by a telemetry unit or “wand” that is placed on your chest wall over the pacemaker noninvasively. Some device may be able to perform these operations wirelessly. The device transmits its information and adjustments can be made while in the office. 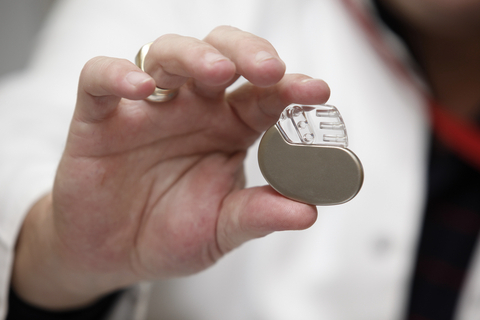 The pacemaker also contains a fair amount of information on your heart’s electrical function over a period of time that your cardiologist is able to access through the device check.